WE DID IT!! 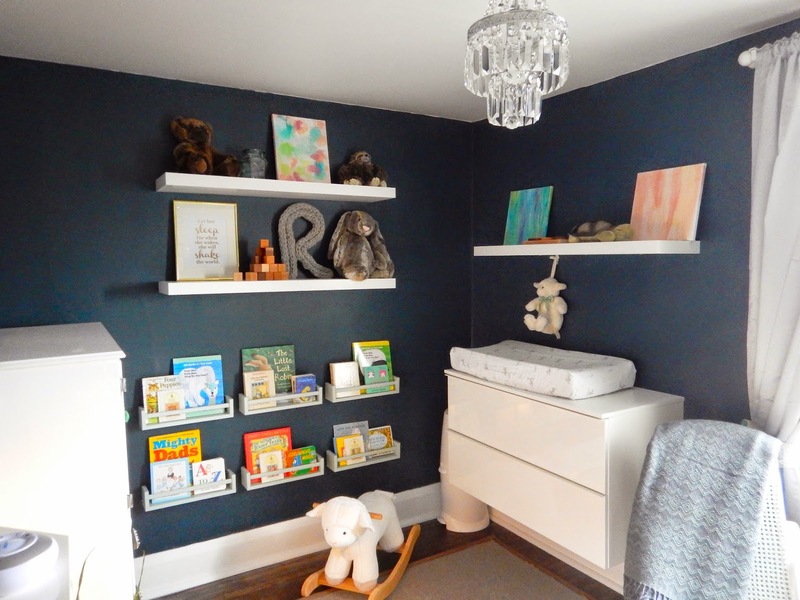 I can't believe we actually finished the nursery before the baby came. I half expected my water to break just as we were adding the finishing touches... but it didn't! 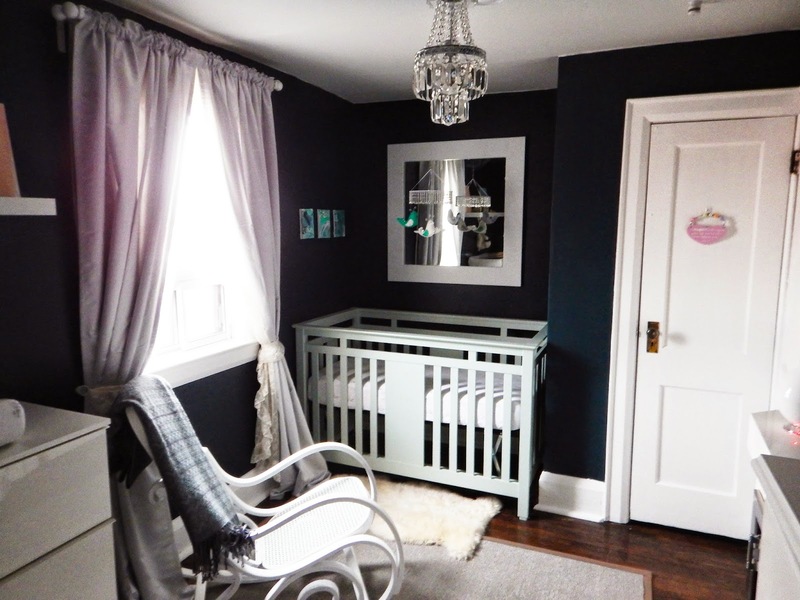 Our house has three bedrooms but we determined this room would be the nursery the day we moved in. Of course, it needed some work. What else is new? After removing layers of flooring and staining the hardwood. We sort of left this room for over a year. In fact, it sort of became a dumping ground of sorts for all sorts of tools and construction materials. There were spans of 4 months when I didn't set foot in this room. And now, without further adieu, here are our before and after shots from other angles. 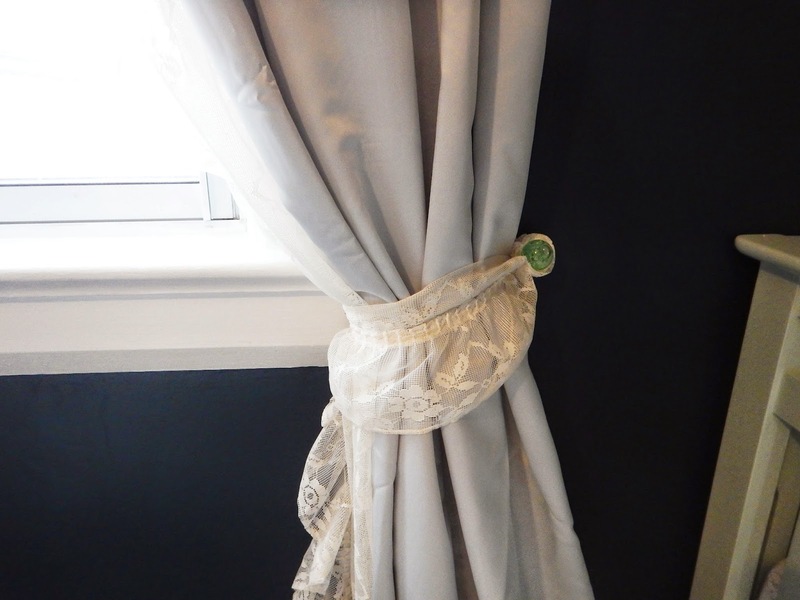 We added lots of personal details, like the lace sheers which came from a close friend, who used them in her daughter's nursery over 20 years ago. 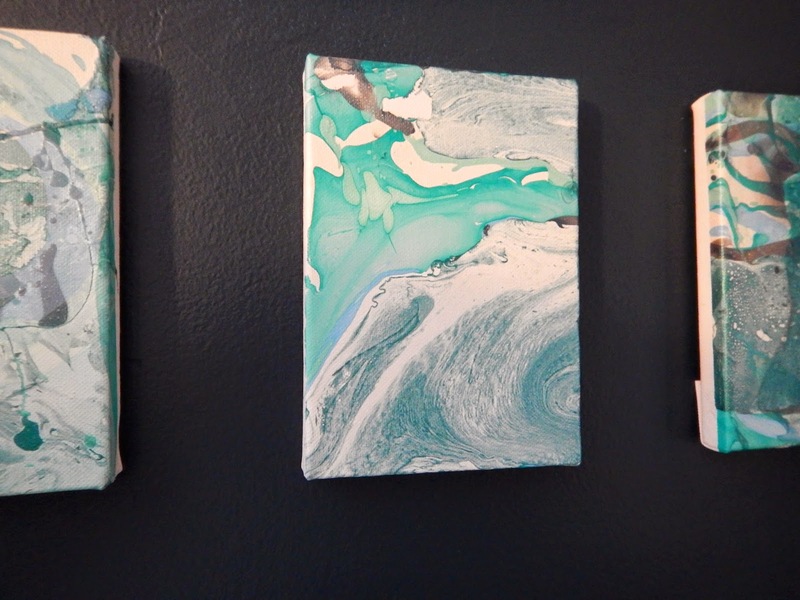 I also used Anthropologie knobs instead of traditional tie-backs for an extra pop of colour. 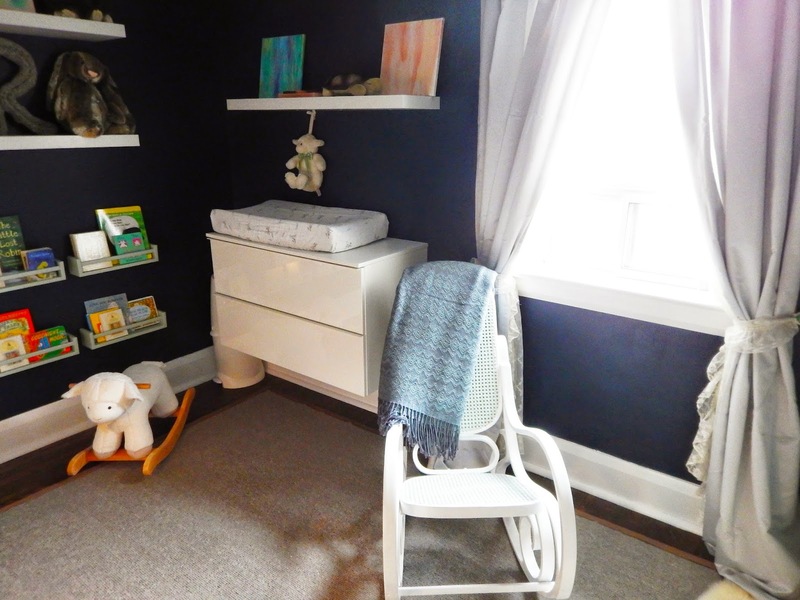 The change table was actually an Ikea sink cabinet, which we mistakenly purchased too large. We had already used it so we couldn't return it but we saved it for this purpose and Corey added a top. 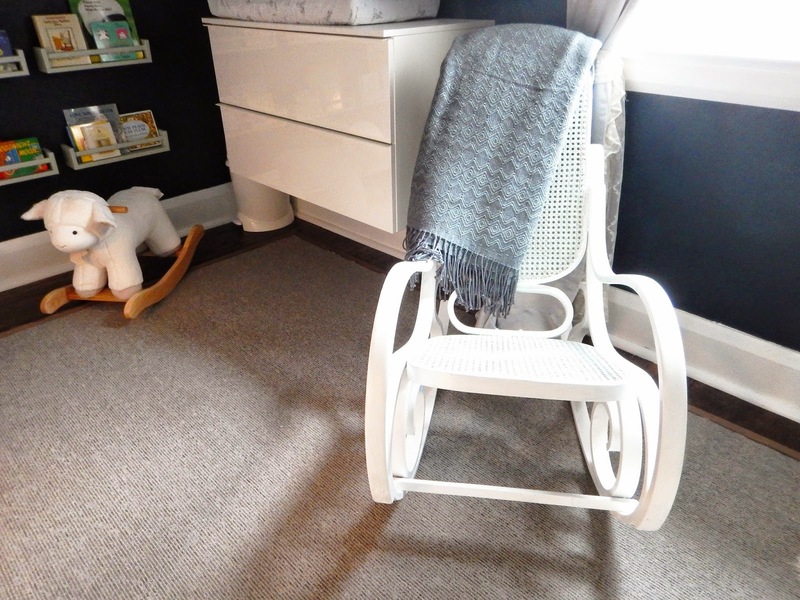 The bentwood rocker was a sentimental Craigslist purchase from years ago and it looks just like the rocker my mother had when I was little. The alpaca throw was a luxury purchase from Cambie. 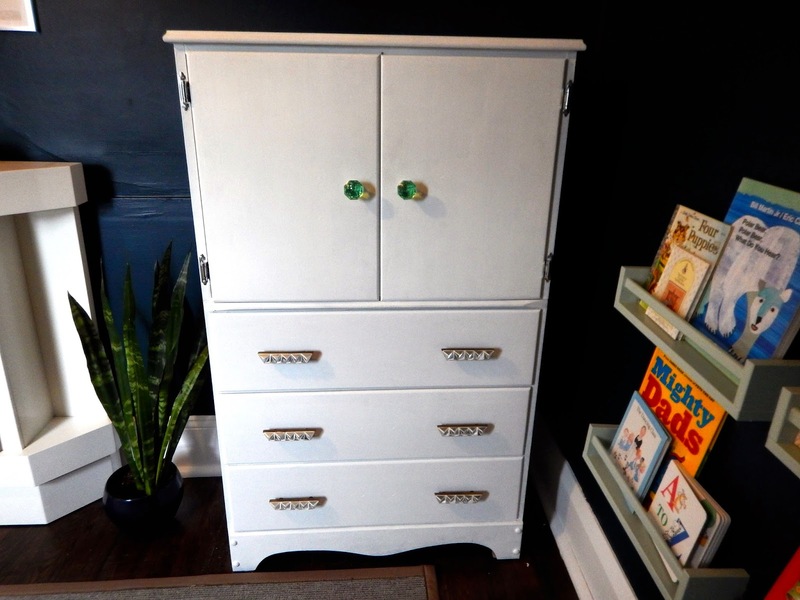 The armoire was from my own nursery 32 years ago and the book shelves are simply Ikea spice racks. We added a mother-in-law's tongue plant to the room because they are known for their air purifying capabilities. 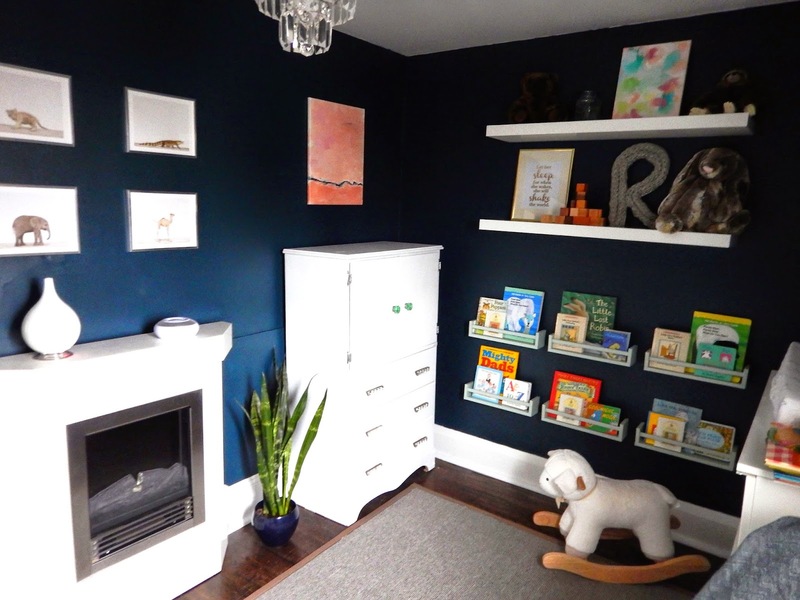 The artwork above the fireplace is from The Animal Print Shop. 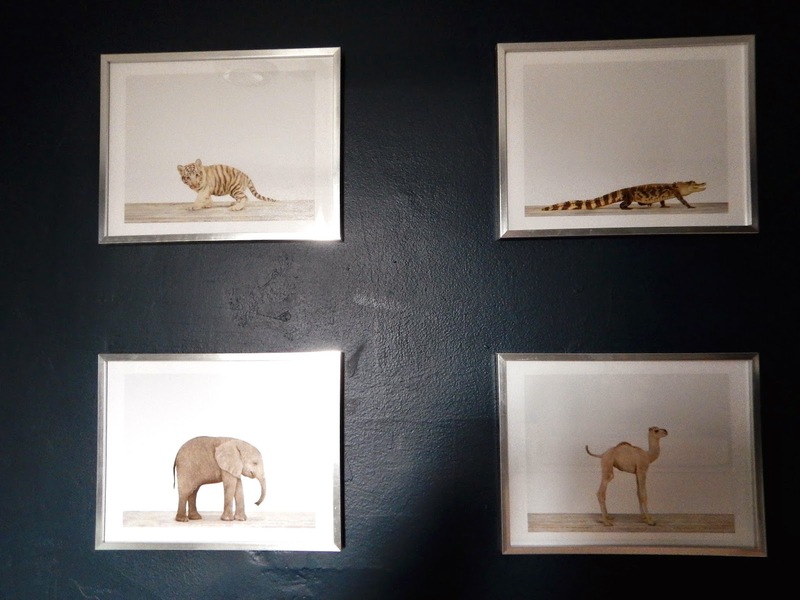 We thought it would be neat to have real baby animal photographs instead of cartoons. I made the artwork above the crib. 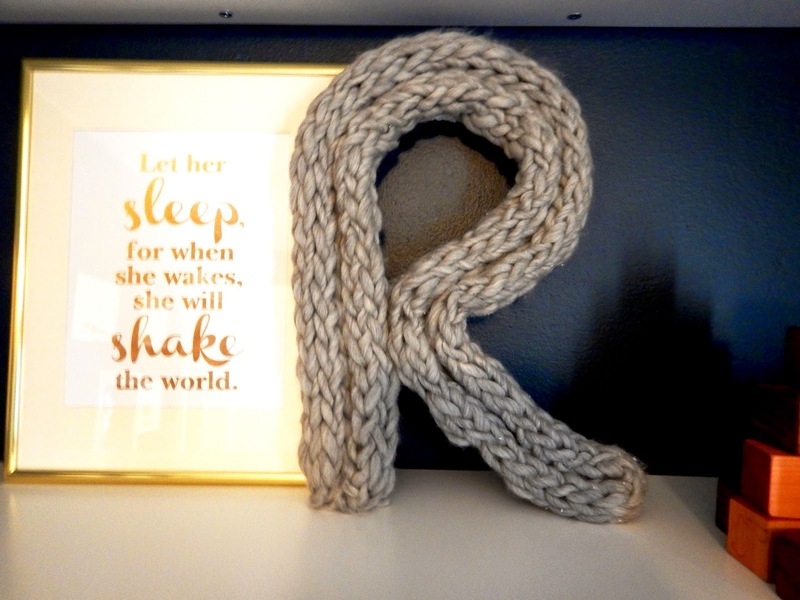 ... As well as the knit "R" on the shelf. The quote was custom made at our request by this Etsy seller. 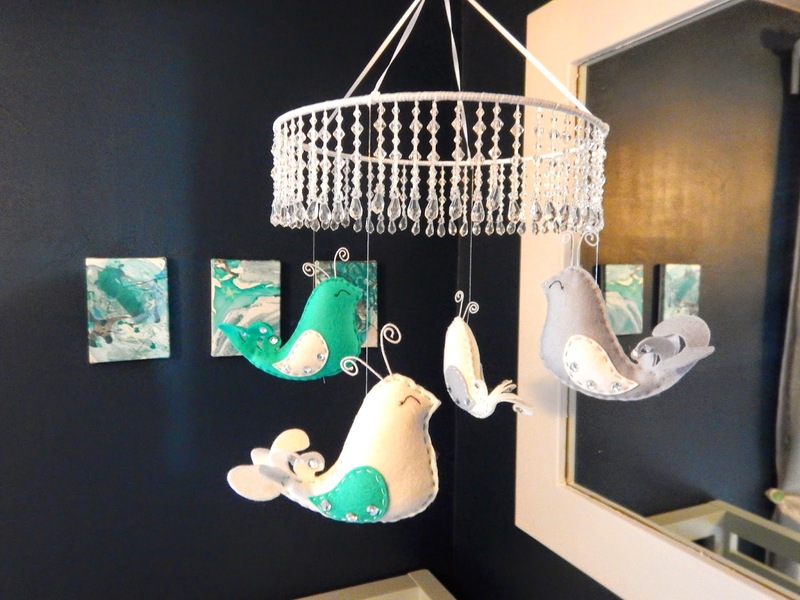 We purchased the mobile on Etsy. And that's our finished room. We are finally ready to welcome the little de Sa-Brown. Any day now we will be a family of five (dogs count) and we can't wait for the fun to begin!